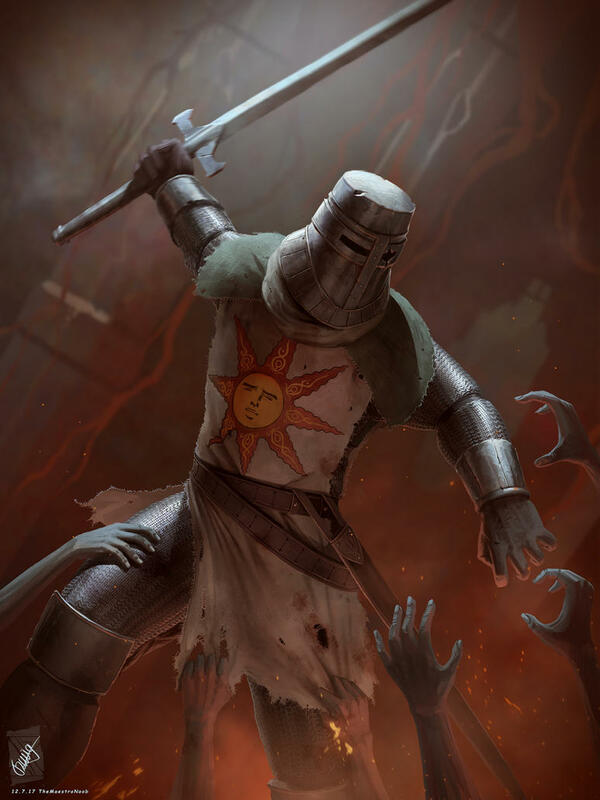 Solaire Mantelar is a paladin dedicated to the Dawnfather and his principles. When Vane Thal'adriel began to form the Sun Walkers he found Solaire to be highly skilled in battle and a competent strategist. Assisting Vane while dealing with the Acererak threat earned him high praise within the Church, and his trust was valued by Vane so much that he was appointed Right Hand of the Flame. He is fundamental in the command of the Sun Walkers during times while Vane is unable to fullfill the duty, and is a trusted adviser among the organization and the Church. His values of faith, trust, and compassion has fueled the ideology of the Sun Walkers and will further instill these beliefs to effectively combat the evils that threaten it.